In the banking business, green is a good color. It's the color of money, of course, and having a lot of green is usually associated with being in the black--which is a lot better than that other color, red. Green reportedly has a calming effect and it represents tranquility, good luck, health and jealousy. It is also a symbol of fertility, which is why people love green M&Ms. Researchers have even found that the color green can improve reading ability and stimulate inventiveness and creativity. Green is also a soothing color when it comes to the environment. Being philosophically green suggests a world view in harmony with Mother Nature. To the tree huggers of the world, being green is golden. In the banking world, green practices, or its cousin, sustainability, can win a banker brownie points in a community. But bankers need to recognize that green loans are not like plain vanilla loans. They can be complicated and demand specialized knowledge, living in a sort of gray area of finance. As the country seems to grow ever greener, it can be worthwhile for community bankers to consider or enhance green and sustainable initiatives. Although successful green lending may not make a big difference to the bottom line today, it could become a growing part of your business over time. It could also engender goodwill that translates into more business. 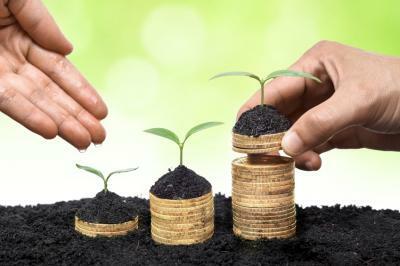 To get a better understanding of the merits of green banking in general and green lending specifically, it's helpful to examine the record of some of the few green banking purists that have sprung up in the last few years. These community banks provide a test lab for green lending. One ominous example is GreenChoice Bank of Chicago, which went under in 2014. GreenChoice promoted its sustainable bias (its chief operating officer was certified in green building practices) both internally and in its lending and banking practices. The government audit that resulted in the bank's takeover made no mention of green practices specifically. Instead, the audit by the OCC found that poor board and management oversight, excessive concentration in construction and commercial real estate loans and weak risk management processes led to insolvency. If nothing else, the report suggests that going green does not relieve a bank of the basic requirement for sound risk controls and management practices. Still, other green banks seem to be quite successful. One example is New Resource Bank in San Francisco, which relies on its expertise in sustainability to run a loan portfolio that is nearly three-quarters sustainable. In a recent report, New Resource Bank is not only profitable, but also has non-performing assets to total assets of only 0.10%. This compares to a more typical peer bank of around 1.50% or so. What the New Resource Bank results perhaps demonstrate, and which green banking advocates stress, is that well-managed green loans can also be less risky and therefore less volatile. They can also get the bank into new customers, so that can help as well. Green-oriented banks show that if carefully managed and monitored, green loans can be profitable. The challenge in trying to do so is to be sure to gain enough expertise to properly evaluate and monitor such a green strategy. Banking remains challenging, but bankers who focus on green lending and do it well may be onto something that will grow both customers and profits over time. Yields climbed 2bp after strong US jobs and gasoline data were released. The latest survey of small business owners by Wells Fargo/Gallup finds 51% use a mobile device to conduct banking related to their business. Meanwhile, the mobile banking activities used most often are: staying on top of business cash flow (38%); mobile deposits (21%); paying bills (13%); transferring funds (12%); and monitoring for out-of-pattern transactions or fraud (12%). Sports Authority Inc. has filed for Chapter 11 bankruptcy and said it plans to close 140 stores. Check your loan portfolio to understand exposures here and the potential impact on reserves. San Francisco Fed President Williams said one of the issues with negative rates is that they hurt bank profits and that the Fed would rather use forward guidance vs. negative rates. A Bank Director survey finds: 44% of respondents who did a bank acquisition from 2008 to 2013 are dissatisfied with employee retention after the deal and 49% of sellers believe selling the bank was negative for employees and customers. Credit rating agency Moody's has lowered its outlook on China's fiscal health from stable to negative. Moody's cites increasing debt (now at 41% of GDP), declining foreign exchange reserves and concern about the government's ability to implement economic reforms. The Comptroller of the Currency says the banking system is sound despite recent issues around energy and weakness in the equities market. Curry indicates the level of capital, reserves and liquidity are "at healthy levels to withstand any turbulence that is being experienced by the industry through economic forces or the market itself." Research by the Vanguard Center for Retirement Research finds women are 14% more likely to take advantage of pretax retirement savings accounts like a 401(k) than men. In addition, 42% of women used professionally managed portfolio allocations like target date funds vs. 36% of men. The latest Bank of America Small Business Owner Report finds 78% plan to grow their business over the next 5Ys vs. 67% who said so 1Y ago.